ProMate E | Pac-Dent, Inc. 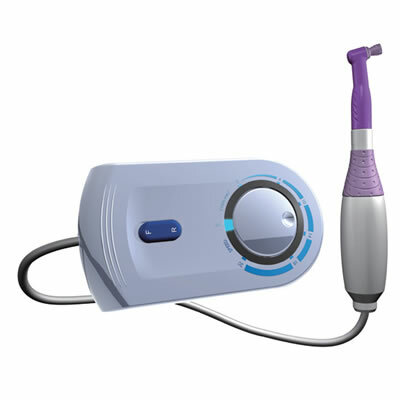 The ProMate E portable hygienist's handpiece from Pac-Dent is the ultimate in convenience, comfort, and control. With no more cords, this portable, lightweight, fully autoclavable, and rechargeable handpiece features a contoured shape with textured silicone grips to reduce vibration and chatter, enhancing comfort and nonslip control. Intuitive controls make this handpiece easy to use; a simple twist to the desired setting controls the speed anywhere between 2000 and 20,000 rpm.